Wymond Choy joined InnoMedia in 1999 and is Vice President, in charge of Corporate Business Development and US Operations. He formed InnoSphere, InnoMedia’s prepaid Voice-over-IP (VoIP) business, providing service to hundreds of thousand users worldwide. Wymond has worked at the executive level in the communications industry since 1984. 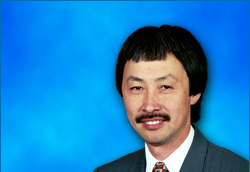 In 1995, he founded CY Worldtalk, Inc., a pioneering VoIP company, and served as president and CEO. At Worldtalk, Wymond conceptualized, designed and architected one of the world’s first VoIP systems, and launched commercial service in 1996 with clients in over 22 countries. He also founded and served for 10 years as General Partner of an international consulting group serving large telecommunications companies throughout the globe. Wymond was previously an executive at Pacific Telesis International. Wymond holds an M.B.A. in General Management from the University of California, Berkeley. He pursued his undergraduate career at the same university, where he received a B.S. in Bacteriology and a B.A. in Economics.